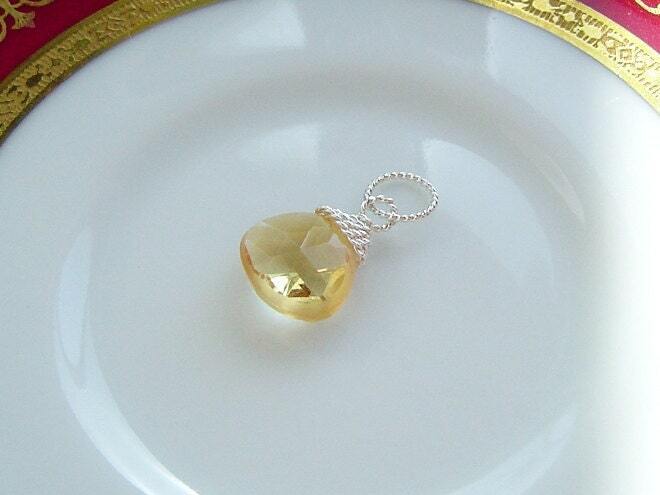 AAA Champagne Quartz Nugget is Fabulously Faceted creating multiple reflections. Also available in sterling silver and oxidized silver, every jewelry box should have a necklace extender. 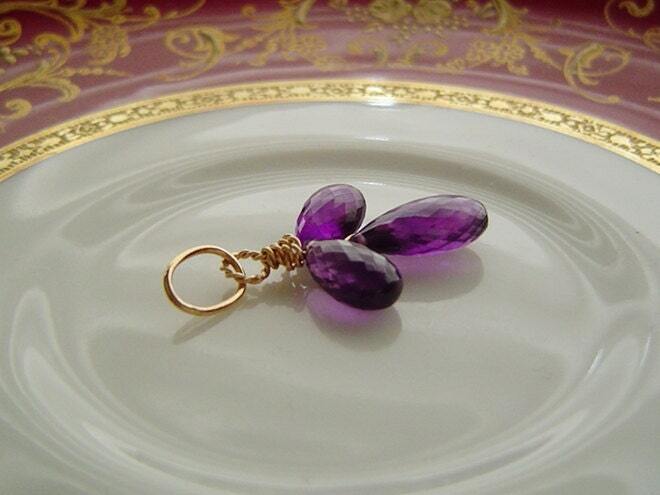 ROYAL PURPLE . . . .
Gorgeous Faceted Amethyst briolettes are wire wrapped in 14K Gold Filled wire to create this trillium fleur pendant. CHECK OUT THOSE BABY BLUES . . .
Gorgeous AAA Blue Topaz briolettes are combined to create these adorable fleur earring charms shown in the front (Aquamarine charms in back sold separately). 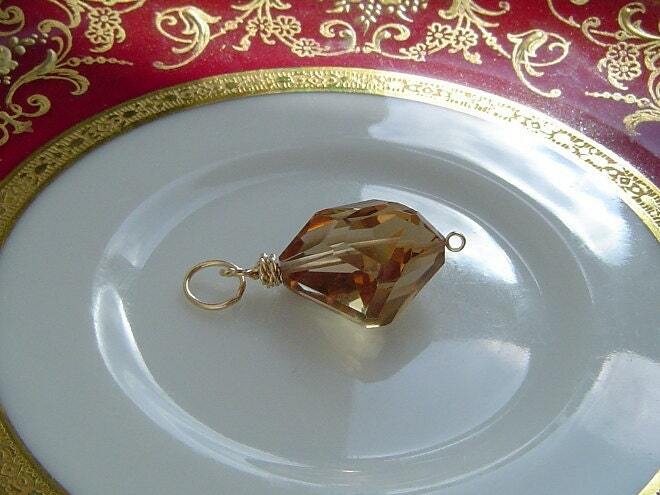 Sparking briolettes are wrapped in 14K Gold Filled wire. 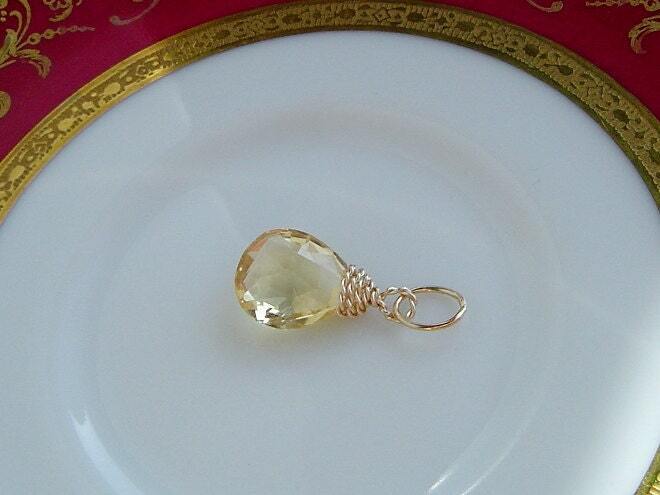 Bright and sparkly, this lovely Citrine Briolette is carefully wrapped in 14K Gold Filled Twisted Wire and hangs from a 14K Gold Filled bail. 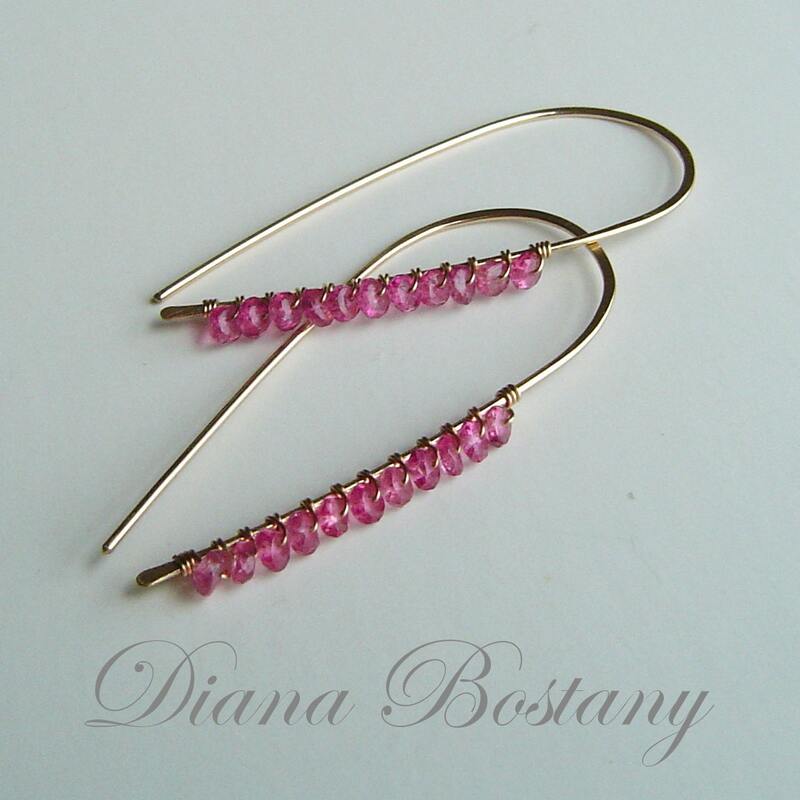 Hot Pink Tourmaline rondelles are carefully wrapped to hook ear wires of 14K Gold Fill. 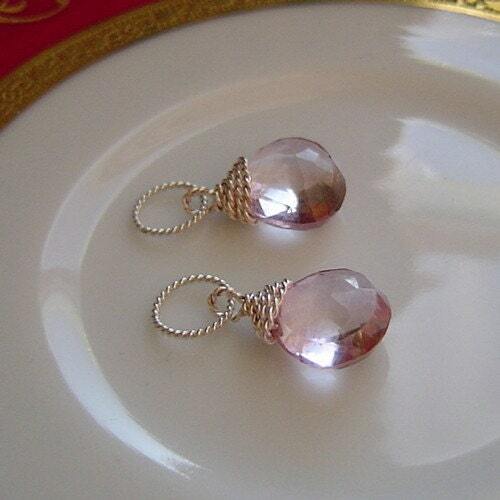 These earrings are hand formed, hammer hardened, wrapped and polished by me. 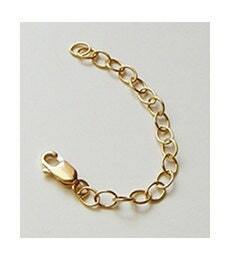 Easy to wear for day or night they measure 1 3/4″ long; stones are approx 3mm x 1.5mm. 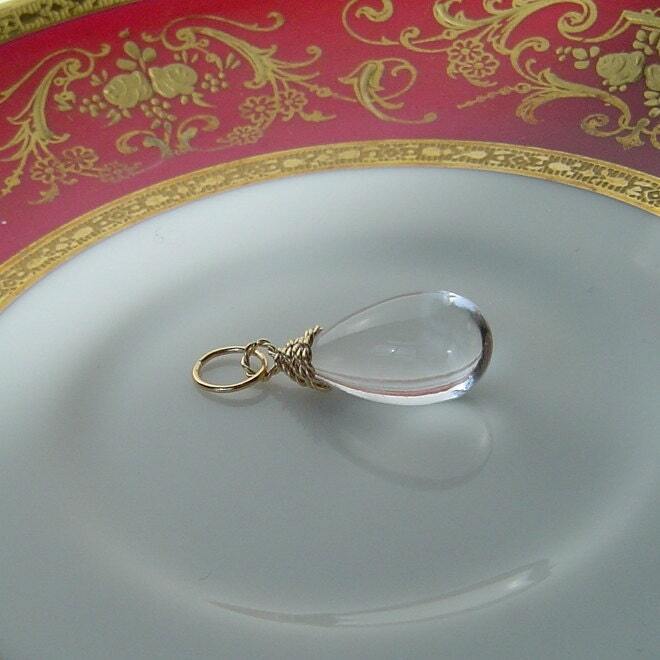 Rock Crystal Quartz, Smooth Briolette Drop, Don’t cry for me. Wrapped in 14K Gold Filled wire and hung from bail of the same.